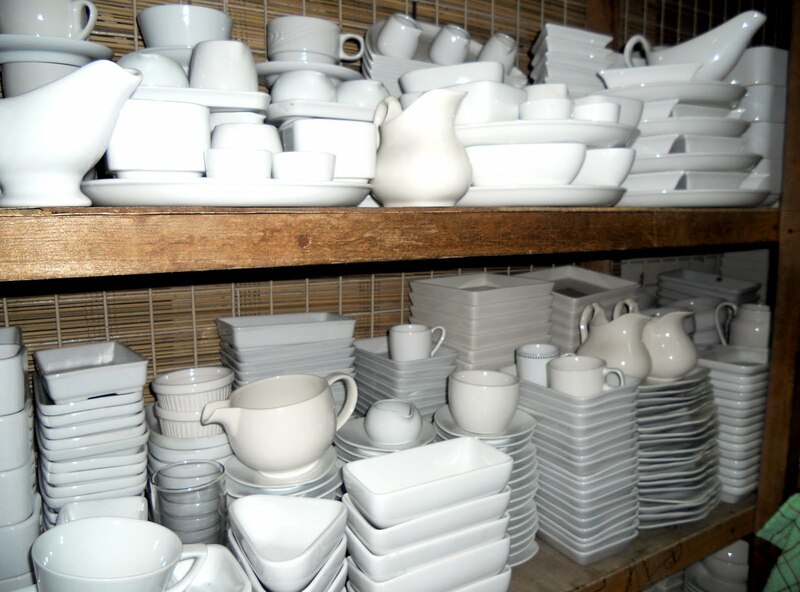 Somewhere in the heart of Quezon City (Philippines), lies a mother lode of housewares and accessories. 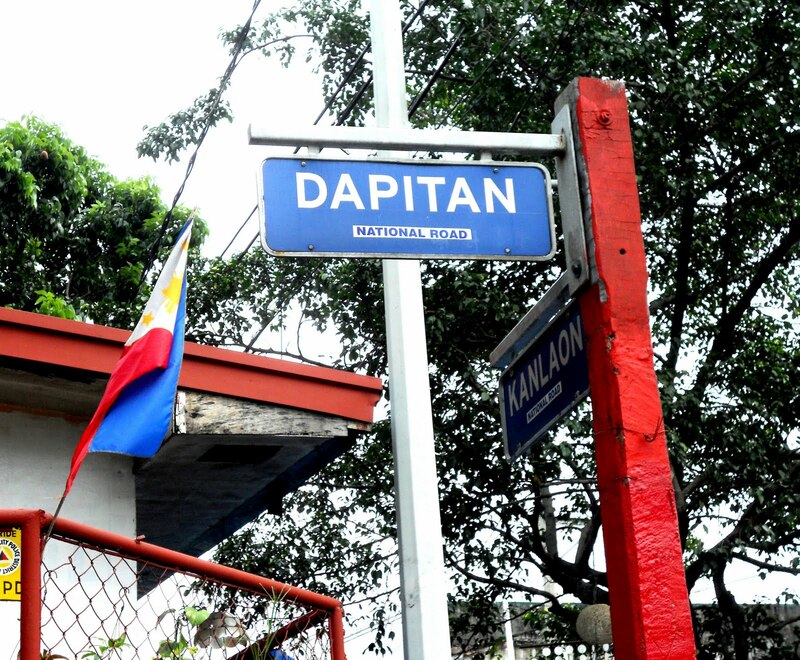 Not to be confused with the Dapitan in Zamboanga del Norte, Dapitan Street in Quezon City straddles the city of Manila boundary. Sort of like a cross between a flea market and a tiangge (Filipino for bazaar) Dapitan Arcade has become popular for its rows and rows of stalls selling local handicrafts and decorative items.If you are willing to head out early in the morning, you can get there before traffic builds, and before the parking spaces fill up. The entire market is indoors in a gymnasium type situation, so there is no air-conditioning. However, the sheer amount of beautiful things filling up shelves to the rafters more than makes up for this slight inconvenience. 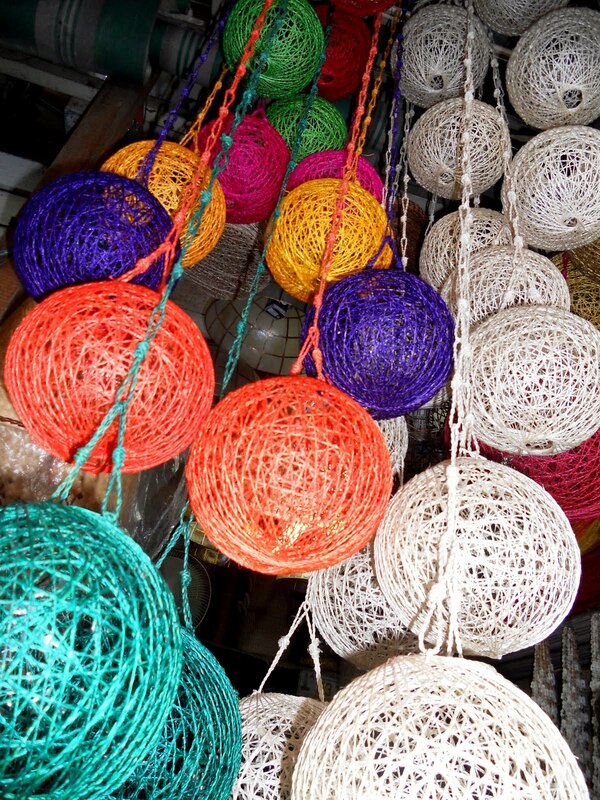 Plus, I think this adds to the exotic bazaar experience. 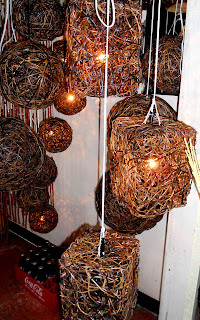 There is a wide variety of items made in every material you can think of: wrought iron, ceramic, paper-mache, metal, carved wood, terracota clay, and baskets in a variety of plant fibers. Vases, figures and baskets are stacked and sort of dumped there just like so, therefore a keen eye and some patience is required to sort through the immensity. 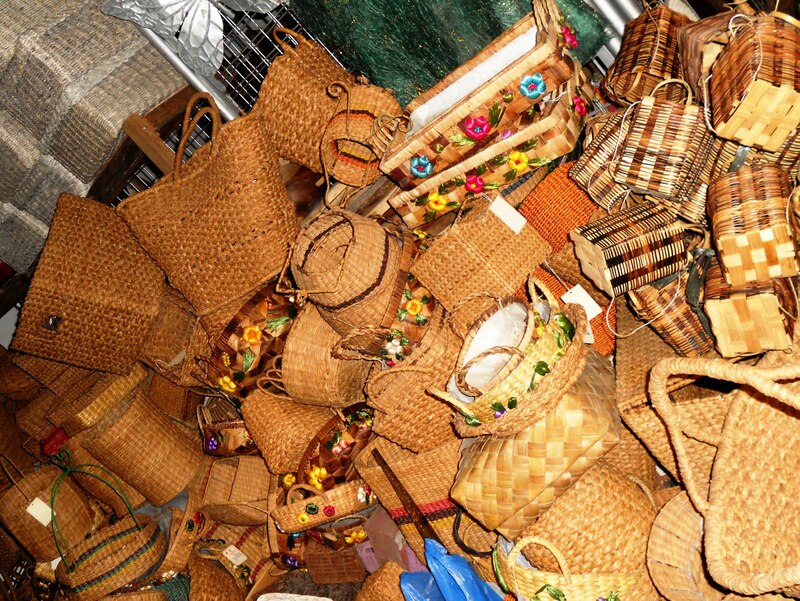 A bulk of the items are export overruns, (pieces that did not make the export quality control). 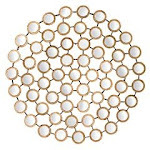 There are slight defects in some of the items, but mostly negligible and easy too overlook because of the great prices. 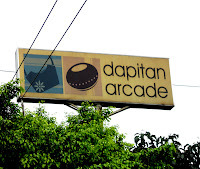 The prices are really affordable and the store keepers are nice and accommodating. 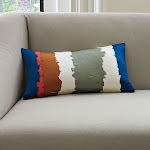 You can also haggle for a discount. 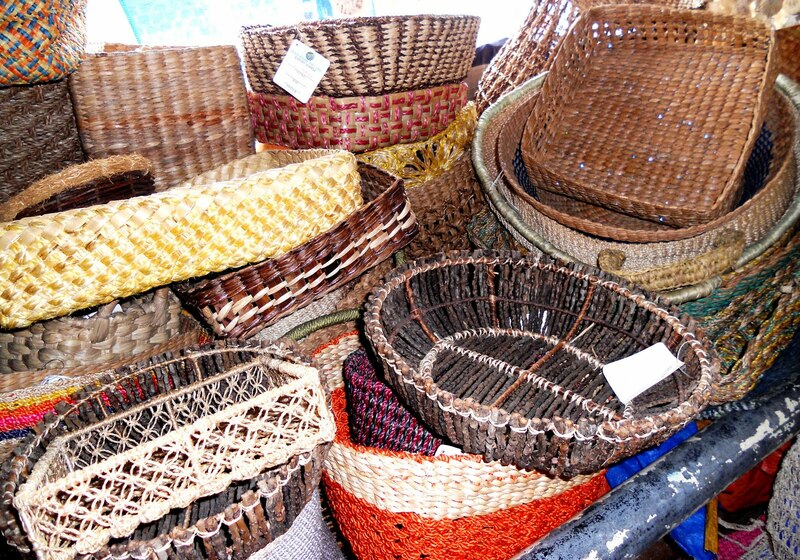 Assorted baskets in water hyacinth, rope and Abaca fiber. 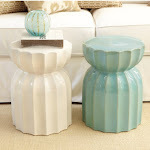 These may not have made it to Pier 1 Imports or Pottery Barn, but they looked great to me! 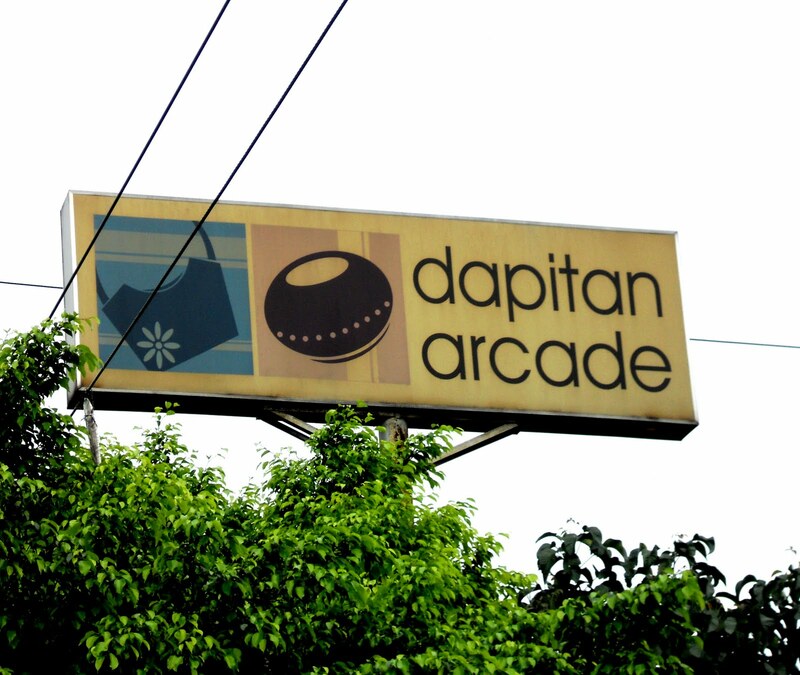 Most of the items in Dapitan Arcade are also sold at retail prices at pricey home stores and department stores in the country. 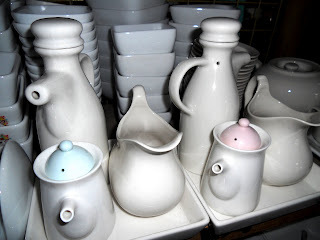 My sister-in-law who scored a lovely perforated ceramic vase for around Php700 ($16) was pleasantly surprised to find the exact same piece sold at Our Home Php2500 ($59)! Long before the advent of porcelain and Chinese influence, the art of pottery was already alive and well in the Philippine islands. 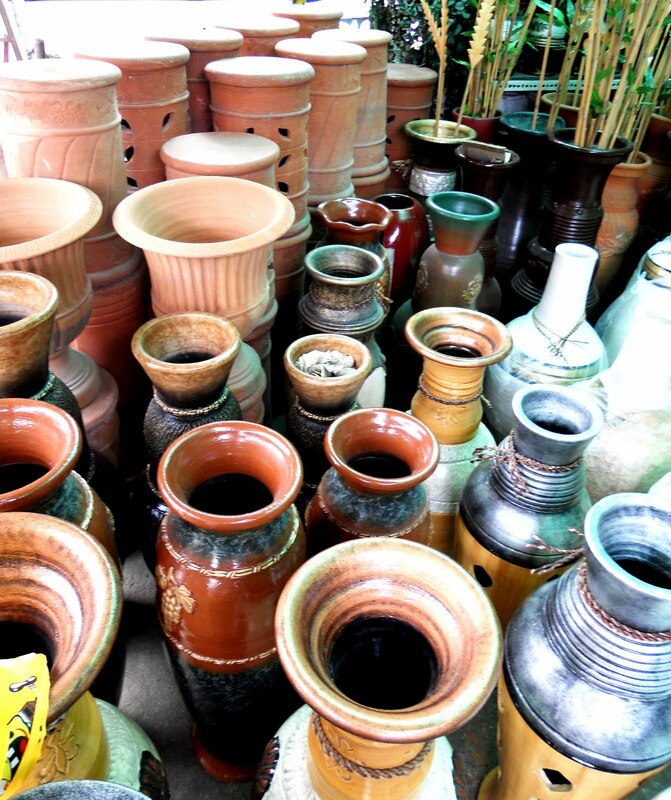 Travel up to the northern most parts of the island of Luzon, and you will find antique pottery done in the traditional styles of the tribal communities there. These days, contemporary pottery is remains to be an art form. Heavily influenced by different local and foreign pottery traditions and technologies, several potter/artists and groups produce glazed ceramics in the style of antique wares. This pottery style has also been introduced to the urban public through the establishment of pottery schools and regular pottery exhibitions/shows in art galleries. 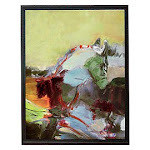 It has captured the upscale market that regularly supports the works of these artists. One of the most interesting finds here are these ceramic balls. I'm still not sure whether I like them or not, but I have not argument against their cute appeal. They look great stacked in a tall clear vase, or in a basket on the coffee table where they can be picked up and held. So what is with the appeal? 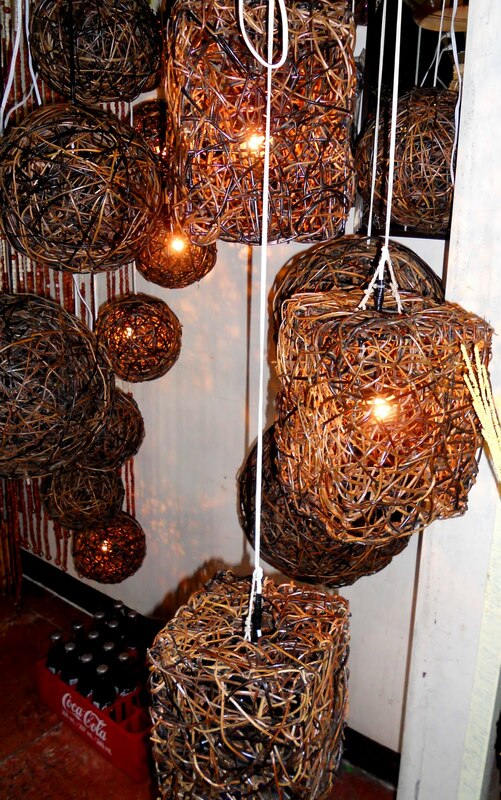 Well, these balls used to sit in bowls on tables for a reason. During the Victorian era, carpet bowling was all the rage. Refined ladies and gentleman would gather in the parlor and set up these carpet balls like pins across the rug for indoor bowling. Perhaps for easy reach, they were kept in bowls with the dents and marks of games added to their appeal. 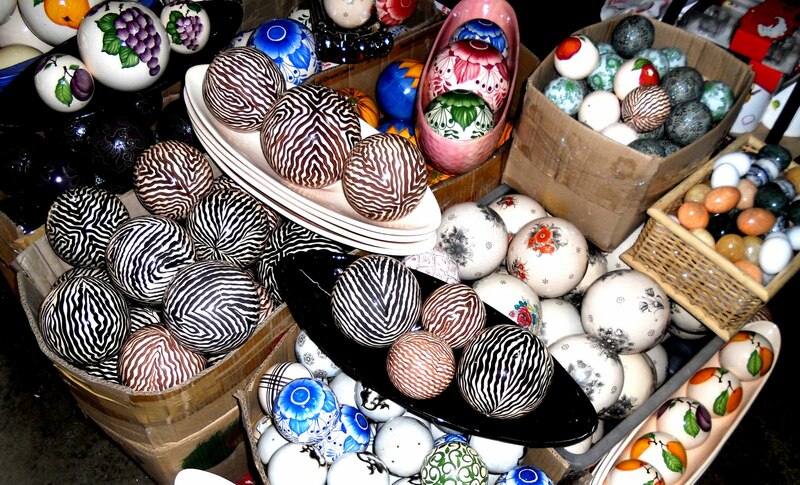 Above: Ceramic balls selling for around Php 30-50 per piece (about $1 each!) 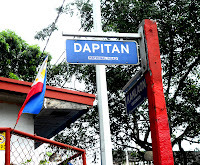 at Dapitan. 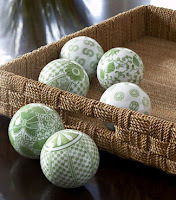 Below: (Most probably) the same ceramic balls selling for 6 for $38 at upscale Williams Sonoma. Above: An abundance of glazed white serveware and teapots at dirt cheap prices. Below: Tall urns and garden ceramics.